So Far Under follows the recent release of The One You Know and its Adam Mason-directed companion video (watch that here), which has already amassed over 2.3 million views. Rainier Fog marks a few firsts for the band: in addition to being their first album in five years, it’s their first album for BMG and their first time recording in their hometown of Seattle in more than 20 years (worth noting that the album title is a tribute to Seattle). 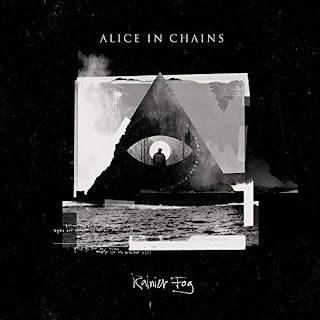 They recorded at Studio X, the same facility where they tracked 1995’s self-titled Alice In Chains album (back when the studio was known as Bad Animals). The Rainier Fog recording process also saw the band spend time at Henson Recording Studios in Los Angeles and at the Nashville studio of producer Nick Raskulinecz. Rainier Fog is the third straight Alice In Chains album recorded with producer Nick Raskulinecz and engineer Paul Figueroa. The album was mixed by Joe Barresi (Queens of the Stone Age, Tool). The album will be available digitally, as well as on CD and limited-edition double 180-gram clear LP with white and black splatter available only from the band’s online store.